Seeing as my boyfriends punch was such a huge success last week (thank you to all those who wrote me messages and re-blogged the drink) I decided this week I would ask him to create me another drink, this time with Tax season as the theme. He played with a few ideas, green chartruese came in to discussion a few times (he wanted the drink to be Green; the color of money!) After much deliberation and tasting, this was the recipe that worked the best. It’s a great, slightly sweet ‘Spring time’ drink that utilizes the refreshing citric flavors of apple and lemon. 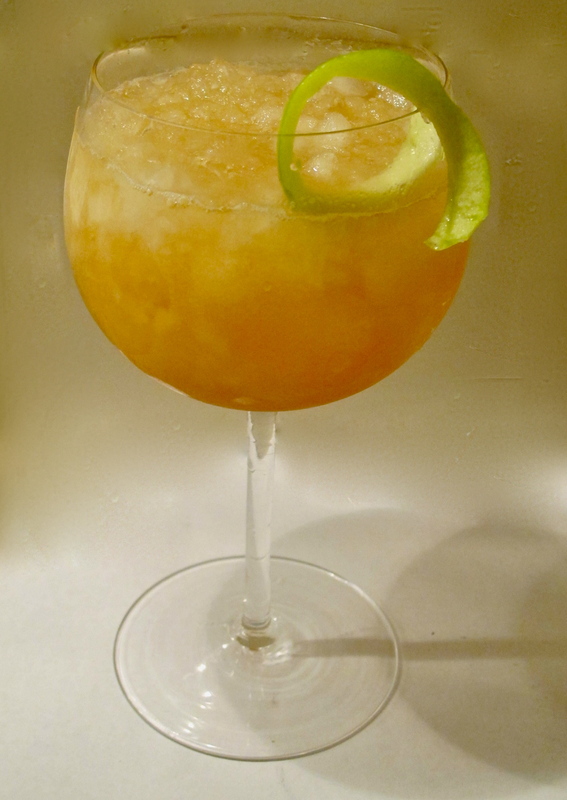 The brandy works nicely with the sweetness of the apple, and the crushed ice makes it almost like a slushy…great for the Summer months around the corner. The Apple Butter that we used in this recipe is available at Trader Joes, however it is basically blended apple,honey and sugar so theoretically you could make it yourself if you don’t have access to the brand. The above is the final recipe created by Greg Bryson AKA FutureGreg. Taxes are usually due on April 15th, but seeing as that fell on a Sunday this year you have until April 17th to file. Looking forward to a nice big tax refund? If not, try and stop grumbling long enough to drink this.